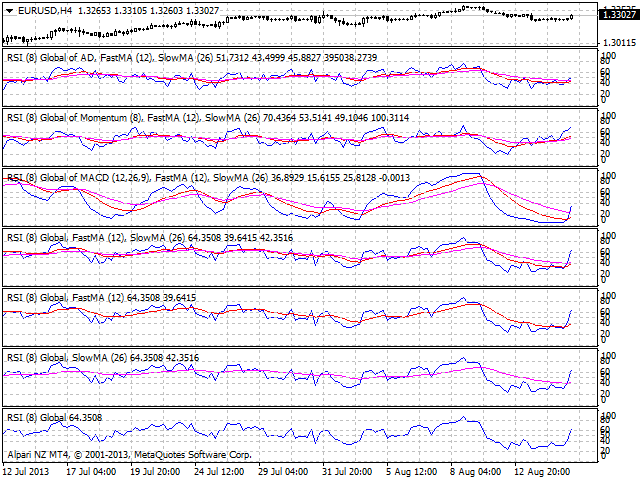 A universal indicator RSI together with moving averages based on it. Depending on the need, moving averages can be disabled. You can color the indicator lines and levels: lines of RSI, moving average lines and thresholds of overbought and oversold levels. (BullsPower - BearsPower) - the difference of the bulls power and bears power. The RSI line - buffer 0. 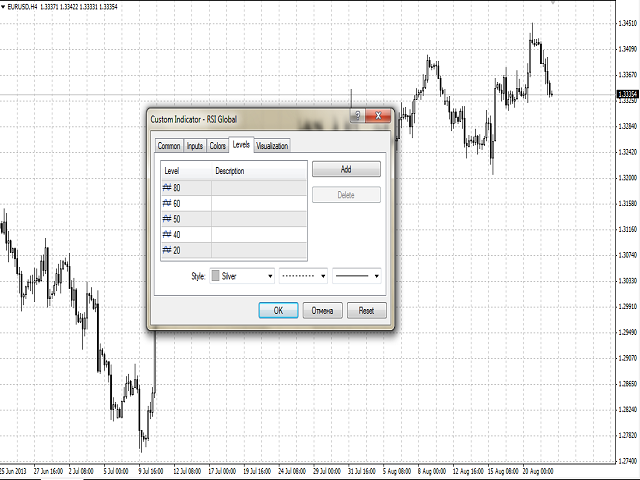 Calc_Method - the index of the indicator, based on which the RSI will be calculated (from 0 to 18). By default (more than 18) - a standard one based on the Close price. RSI_Period - the period of RSI calculation. 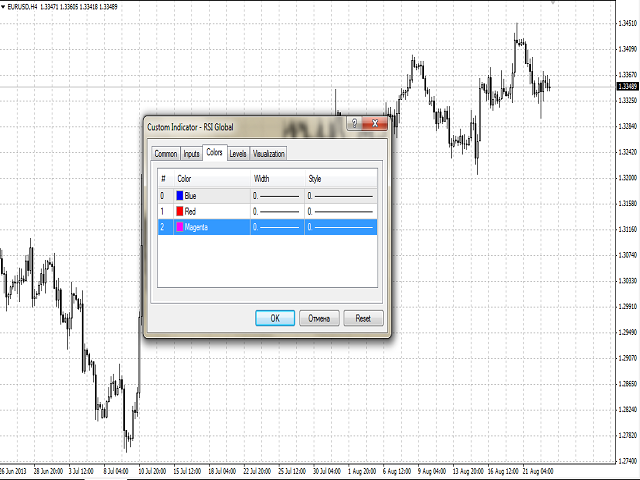 Periods - the period for the calculation of the basic indicator, based on which RSI will be calculated. 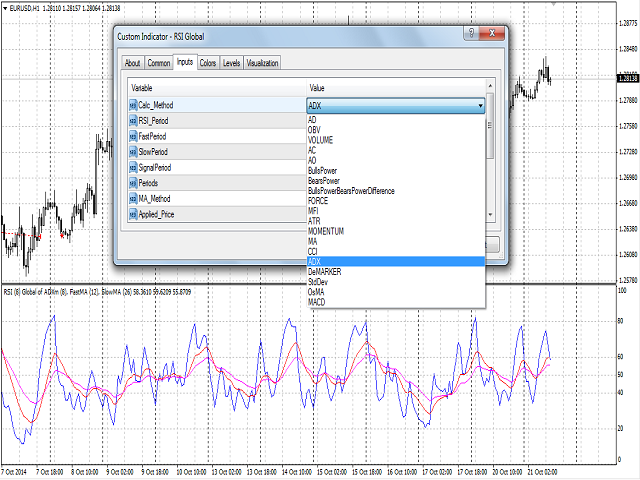 FastPeriod - the fast MA period of the basic indicator (for example MACD), based on which the RSI will be calculated. 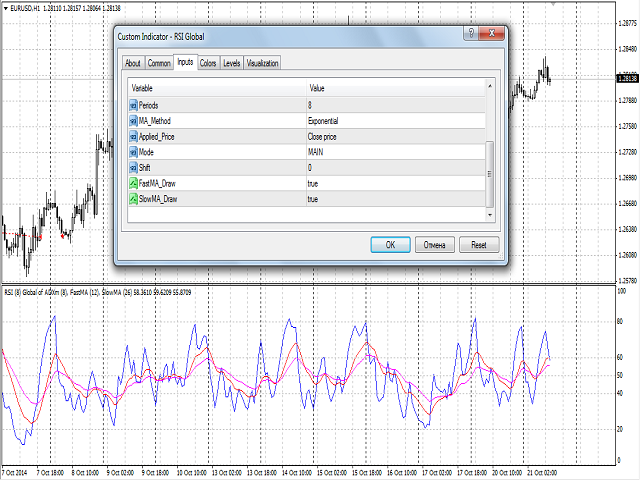 Mode - the index of the line (MAIN - 0 or SIGNAL - 1) of the basic indicator, based on which the RSI will be calculated.